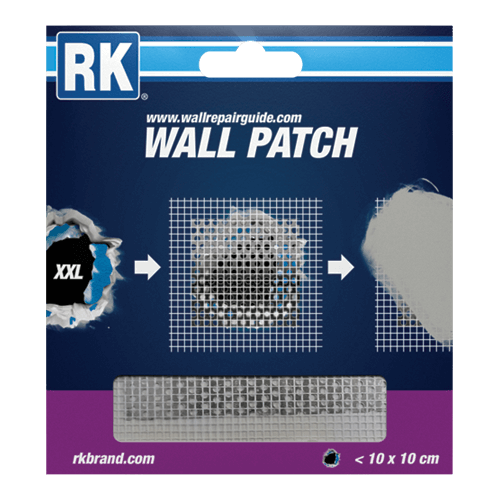 If the hole in your wall is too large to fix with RK Plasterplugs the next best option is to use one of our Wall Patches for the job. They consist of a fibre net and an aluminium plate which ensures the strength of the repair. The aluminium plate has been punched through with holes to ensure that the filler goes also through the patch. Additionally, the patches come with an adhesive surface that helps you position the patch over the hole. Adhering the patch to the surface is a big help when you need to spread the filler and level the surface. Tip! 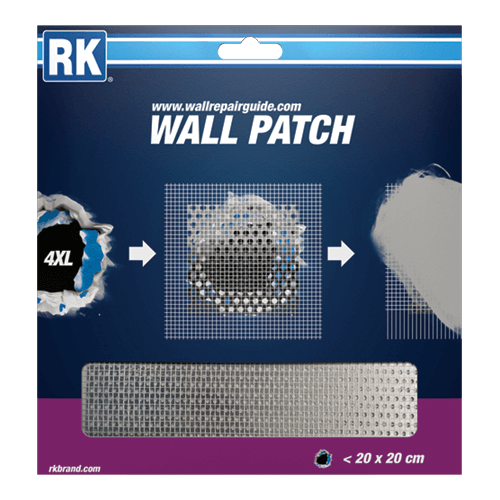 Make sure you over-fill the surface of the patch enough that it fades to the surface of the wall. As the patch is placed on top of the wall there will always be a slight mound on top of it when compared with the rest of the surface. But you can minimise it visually with good and even filling. 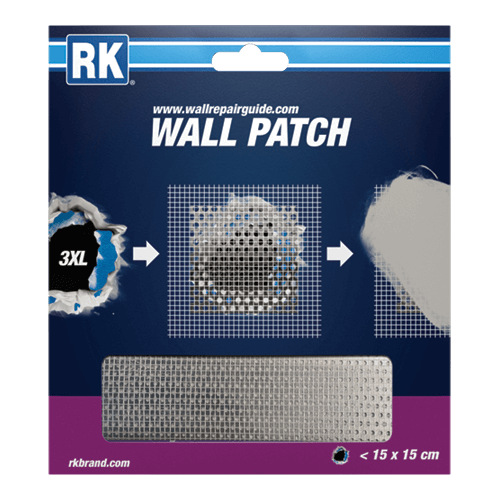 RK Wall Patches come in three different sizes: XXL, 3XL and 4XL. 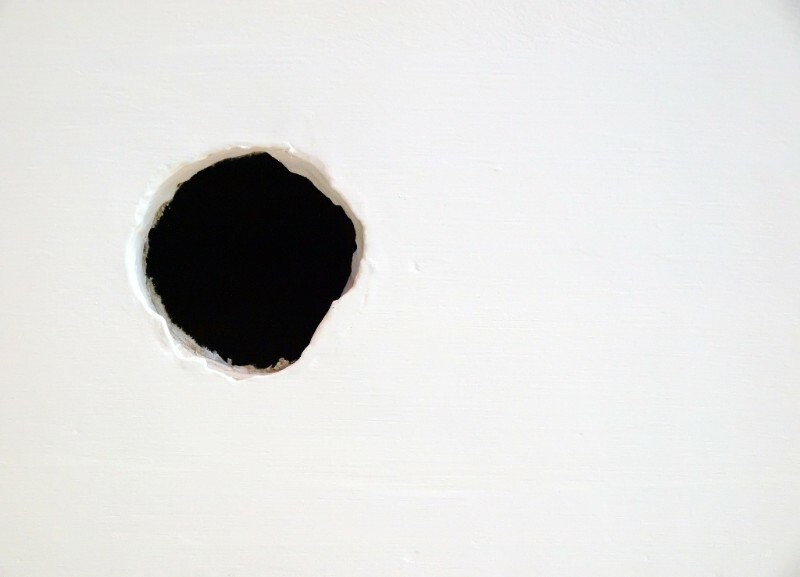 You can repair holes of 10 to 20 cm with the various sizes. 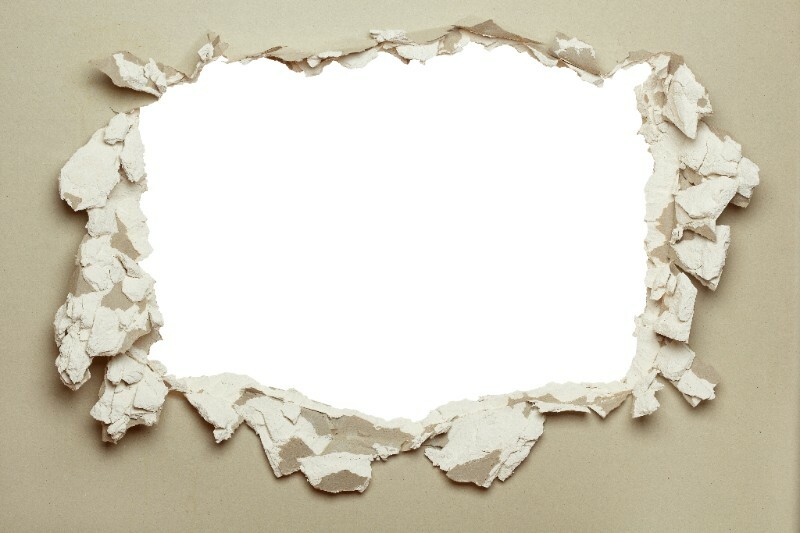 Just remember that if the hole is huge - it just might be your best bet to replace the whole section of the drywall.